This is what my desk area looked like after my husband painted this corner of our bedroom and I put everything back together and before I sorted and moved those book stacks. That sounds confusing. I just mean that the stacks of books have been reduced and rearranged a bit since I took this photo. And while I know it's weird to see bricks and old boards stacked on a desk, that set-up currently works for me. I hauled those boards and bricks out of my parents tree-line last summer and brought them back here(complete with the clinging moss) to make something that was functional, reminiscent of home, and full of natural beauty, (at least to me, for now). I added two pieces of felt to the bottom two bricks to keep them from scratching the desk, but left the moss. Yes, it gets a bit messy, but nothing a quick dusting on occasion doesn't take care of. Here are some of the books I read this past year, some borrowed from the library, the rest are my own, some purchased brand new, others found second-hand. I loosely grouped them together by genre or author. 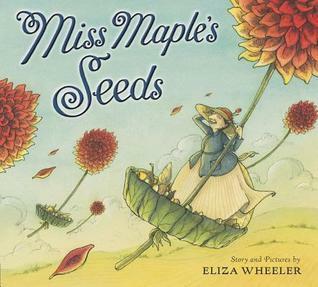 A clever and delightful idea of thinking about seed dispersal, Miss Maple's Seeds is a lovely book. I think I might have enjoyed it more than my eight year old. Not surprising since I love soft, yet detailed illustrations with carefully chosen text, all of which describes this picture book. I have been reading Miss Read's books for almost fifteen years after I found one in the main library in downtown Fredericton, NB and read every title I could find. I now own close to ten titles myself and am still finding ones I haven't read yet. I love her books and the illustrations are vintage gold. Like many others, I love Jan Karon's Mitford novels which I think I began reading when I worked at Barnes & Noble back in my university years. 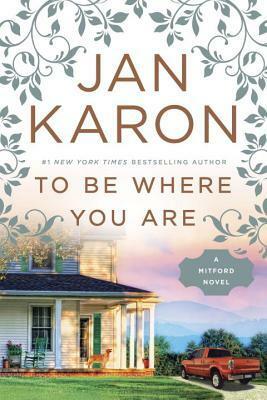 My friend, Katie loaned me her copy of To Be Where You Are and I admit I gobbled it up in only a few days. In my very limited experience, it doesn't get better than Helen Hanff. I do have a friend whose emails imitate HH in almost every way and I don't even think she knows it. And I'm quite sure that my reading (or maybe even re-reading, who can remember!) of 84, Charing Cross Road was enhanced because of our email exchanges. (And yes, I have seen the movie, years ago.) Her follow-up book, The Duchess of Bloomsbury Street was enjoyable in its own right, but missed some of the snappiness of the first one. My local library system has her other titles so I will give them a go and in the meantime, perhaps send a HH note to someone. Jean Fritz is a popular children's author who turns her pen to own life on occasion for writing material. Homesick: My Own Story was an interesting read of a bit of her 'coming of age' years in China. There is a follow-up called China Homecoming which may be more appealing to adults. 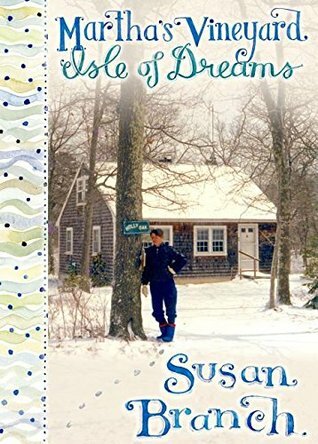 Martha's Vineyard, Isle of Dreams is the second book in her trilogy telling the story of her own life history. And like the other two, she shares it in her unique style: part scrap-book, part diary-like with her own very recognizeable handwriting and illustrations. I have read the trilogy in a dizzying order, mostly because they all have been library requests and her books have long queue lines which means my requests have come in all at different times. I intend to buy my own hardcover copies, perhaps a birthday present to myself in March. Her cookbooks and home decorating books have been around for decades, so you likely have seen her artwork, even if you didn't know who she was. The Year of Jubilo was on my ebay search list for a long time before an inexpensive copy showed up. It is the sequel to Roller Skates and I enjoyed it very much, more than I remembered liking Roller Skates. I think the setting being in a small town in Maine in the sequel was more inviting to me than the city setting of the first book. I think I remember that my now teenaged son did not really enjoy his reading of Roller Skates, but I feel confident he will enjoy The Year of Jubilo because it features the whole family including three young men. The Chestry Oak is the third book I have read by Kate Seredy. I bought it because it was republished in paperback after being out-of-print and very expensive secondhand. I found the first half of the book very slow-going for me, reading it off-and-on for months before finally hitting what I would call the 'action' of the story and then I finished it in a few days at the end of December. The main character is a young Hungarian prince, Michael and I found his thought life and interchanges with his Nurse to be tedious and baby-ish at times at the beginning of the book. But the first half of the book sets up the heart-warming story of courage and kindness in an indispensable way to form an endearing tale. I still have another unread Kate Seredy book on my shelf, The White Stag a very short book, perhaps a quick read for this afternoon. I think I can say that I truly liked this book, which is the first in the series which currently numbers two books. 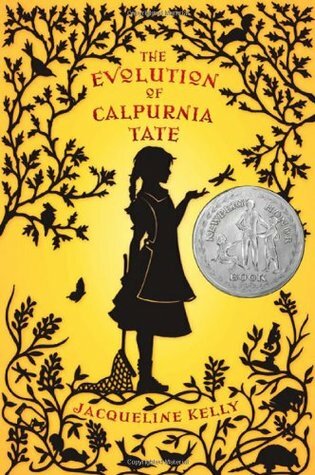 I think on occasion, I felt that the inner thought life of the main character, a young girl named Calpurnia Tate, seemed too advanced for her supposed age. Her level of observation in the natural world seems normal , but her ability to reason and arrive at scientifically correct conclusions often seems a bit over-the-top, but that doesn't detract from the story which I think is original and captivating. This was a library read for me and I'm waiting for the second book in the series, The Curious World of Calpurnia Tate to come in from my library request list. Our Charlotte Mason Study Group read through For the Children's Sake while using Brandy Vencel's Start Here Study Guide. This is my second read-through this book, but the first was a long time ago before I actually started home educating. Our study group loved this book and it is often the first book people read when being introduced to Charlotte Mason and her methods. I frequently come across books on homesteading and gardening that I borrow from our local library to peruse for new ideas and inspiration. I rarely can take the time to read these books from cover to cover, instead I dip into them as the topics interest me. Permaculture and its related ideas have become trending topics in the world of gardening, farming and homesteading. It interests me because of the way you make use of your land and care for it. 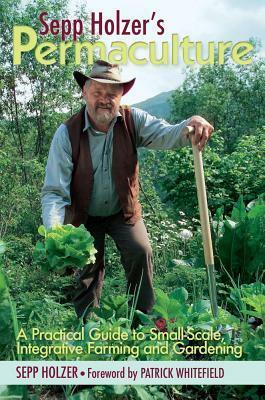 Sepp Holzer's Permaculture: A Practical Guide to Small-Scale, Integrative Farming and Gardening is by an Austrian farmer who has been championing these methods for decades. While much of what he shares is beyond the scope of my own small gardening dreams, there are many practical considerations such as prevention of soil erosion, companion planting, and soil care to name a few. Books that I have dipped into this year and will continue to read in small bites.